While checking the news this morning I stumbled upon this short article listing a few garage safety issues by U.S. Home Safety Council. To explore a little more their garage safety suggestions I followed a link to their website and looked at much longer list. I have to tell you that I’m disappointed after reading it. While working as a home inspector I‘ve evaluated close to 5000 properties and majority of them with car garages. In most cases there were serious, even life threatening garage safety issues involved, and yet, 3 of them have not been included in that list, part of one has been briefly mentioned. It is not about scaring homeowners, it is about educating them. So, if the title says “Make your garage safer” and 4 major garage safety issues are almost entirely missing from the short (news article) and longer (U.S. Home Safety Council website) list… I guess it is time to fill in the blanks and complete the list. Keep in mind, the importance of the following four garage safety categories is not based on some theory. These are the most common garage safety issues found in thousands of home garages while performing home inspections for almost 13 years. Second garage safety category is garage door opener. 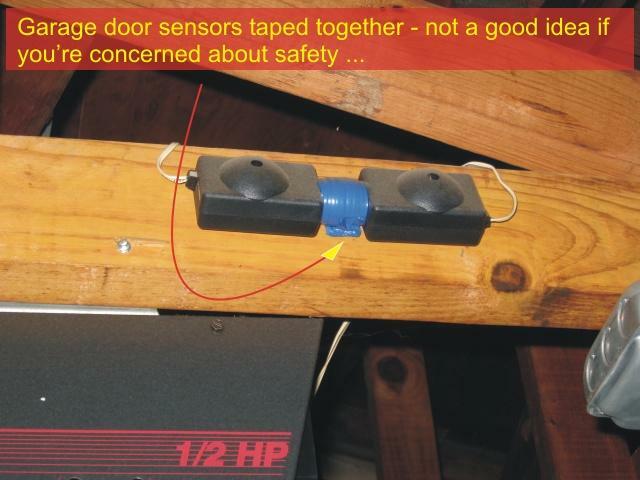 Are you aware of the fact that improperly adjusted garage door opener paired with improperly installed overhead garage door safety sensors can easily kill your child and heavily injure or kill an adult as well… Did that ever cross your mind? Well, that convenient device hanging under the ceiling in your garage must be properly adjusted to operate safely. Without proper settings and periodical testing it might appear to be working properly, open and close the overhead doors, but without correct settings it may pose serious threat to anybody passing underneath while the door is closing. Find out more here: garage door opener safety. If you have double extension or torsion springs on your door(s) and one of them cracks, the other one will not have enough power to hold the overhead door in open position without the opener. The opener will struggle while opening and closing the garage doors, eventually quitting on you. Even the garage safety has been compromised, with a stronger motor you may not even notice it for a long time. 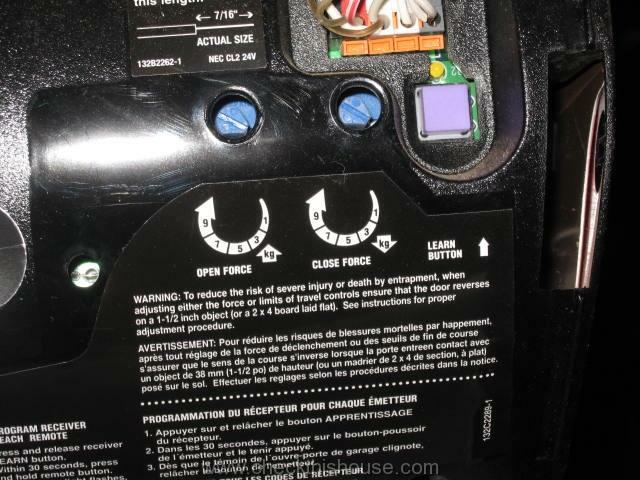 However, if you decide to disconnect the opener (to investigate the problem) while the door is in “up” position it might come down with crushing force destroying everything in its path. Unless you’re extremely strong (capable of lifting 400 pounds or more in some cases) there will be no way of stopping it once you pull the disconnect handle, or lifting it by yourself if the door ends up on your foot. That’s why you need to remember this garage safety item, have door springs properly adjusted (preferably by a professional) and visually evaluated on regular basis. 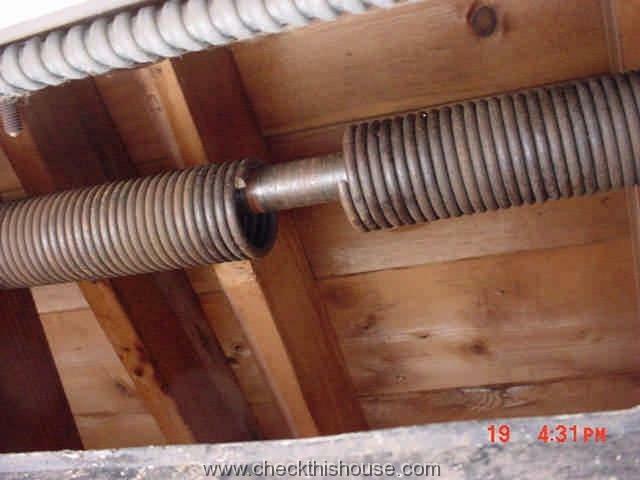 More details here: garage door springs safety. For those with attached garages this separation wall between the house and an attached garage is extremely important garage safety item. Your life might simply depend on it! It must be properly assembled and not abused in any way so it protects you inside the house in case of garage fire or Carbon Monoxide spillage (ie. running vehicle engine). Abusing the garage firewall doesn’t really take much effort but results can be devastating. 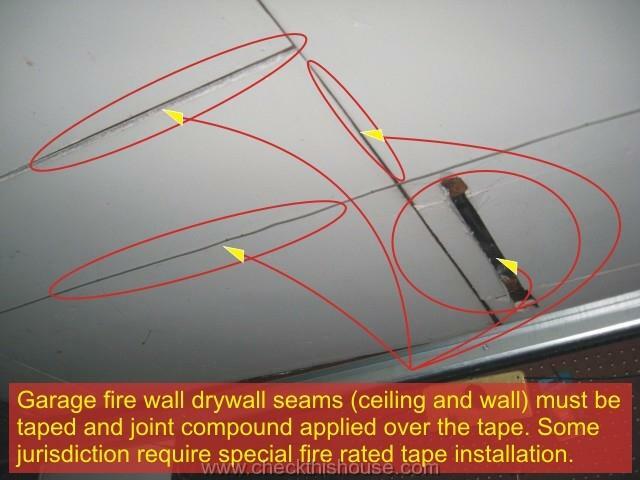 Follow this link for more information: garage firewall. I think that the above four categories complete garage safety list by U.S. Home Safety Council. Please, check your garage safety now.